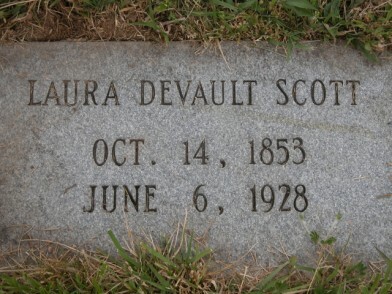 Sidney Bulo and Laura Devault Scott are buried in the Glen Alpine Cemetery. 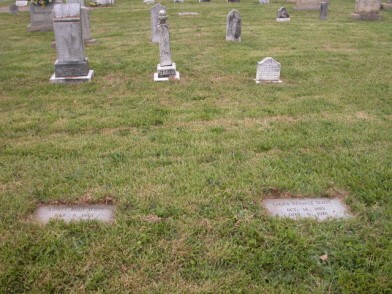 Pictures of the grave site and markers are below. Up until the year of our Lord 1998 Sidney and Laura did not have grave markers. 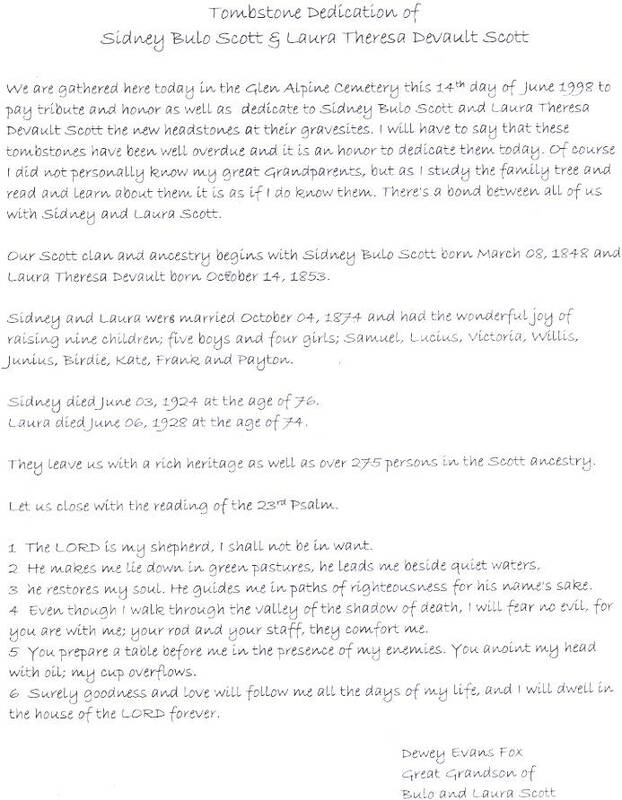 Through the generosity of several Scott Clan folks we were able to purchase the grave markers that are in the pictures below. We want to thank all that gave. 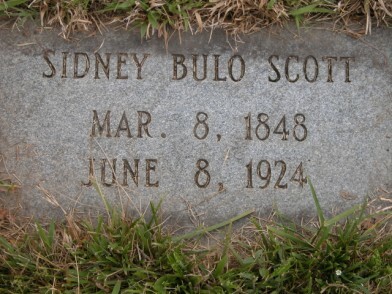 That same year we have a small dedication of the grave markers. The Glen Alpine Cemetery is located on Linville Street going out of Glen Alpine toward the Lake James/Power House Road area.